Our sleekly designed Convertible is constructed with space efficiency in mind. It offers a flexible and mobile solution that allows an every-day office area to be converted quickly and easily from one application to another. 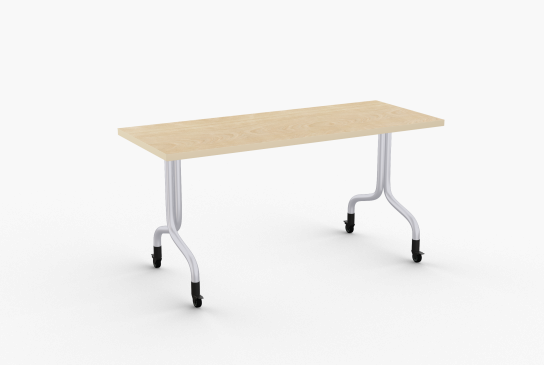 Convertible incorporates a top that can be tilted, resulting in a vertically stacking table. Its unique structure allows straight-on nesting in the flipped position. Each table takes up only 4.5" of space. Single point release mechanism is simple to use when flipping any size top. Locking skate casters are standard for easy mobility and a heavy duty beam prevents the top from sagging.